First launched in 178 A.T. from the Vladivostok shipyards, the Janus-class blockade runner is an uncommon, infamous vessel in the modern Solar System. Its original purpose was for aiding in the clearing of debris for mining and rescue operations. With its oversized navigational deflector, the Janus can brush aside ship refuse and micrometeroids better than any other spaceship in the System. Its forward crest, reinforced by the power of its monodirectional engines, was intended to allow the Janus to nudge away asteroids or derelicts that could not be handled by tow ships or grapplers. While it can and does perform the aforementioned tasks, the Janus gained notoriety in the Relay Incident of 179, the same event in which the Neptune Magnetic Accelerator Relay was destroyed. The forward bulge on the Janus hull became from that time on known as a ramming crest, as several of these blockade runners were used to demolish the fleet assembled by terrorists out on the Neptune fringe. 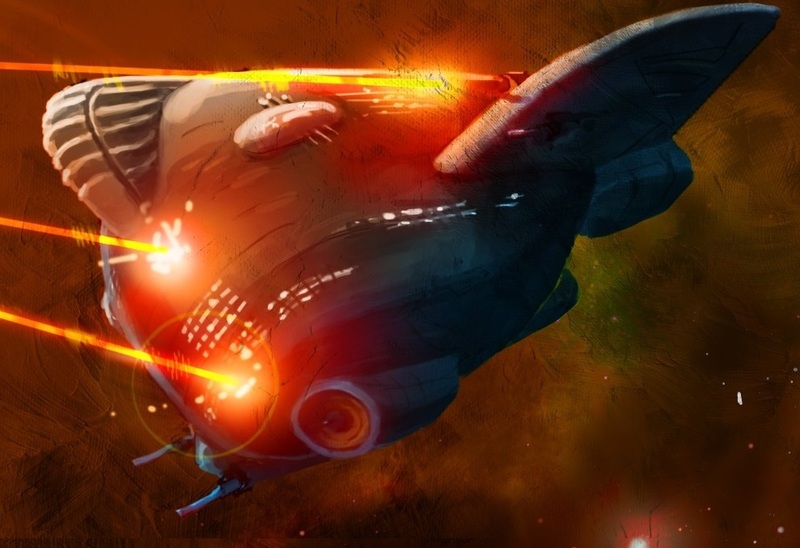 As the majority of spacefaring weapons are designed to disable, not to destroy, not even the toughest cruisers were able to stop any Janus-class runner in time to avoid an unfortunate demise. Few things will strike fear into a captain’s heart more than being told that a Janus is one a collision course with their ship. Fortunately for them, due to production issues and lack of long-range utility, there are comparatively few Janus-class runners deployed as of the year 200. The fusion impulse engines on a typical Janus are purported to be capable of achieving a velocity of at least 1,000,000 km/h, this is however untested.